Warlimpirrnga Tjapaltjarri was born sometime around 1958, east of Kiwirrkurra, Western Australia. Warlimpirrnga and his family, which includes fellow artists Thomas, Walala, Yukultji, Yalti and Tjakaria, led a completely nomadic life until they emerged from the desert around Wilkinkarra (Lake Mackay), coming to Kiwirrkurra in 1984. Dubbed "The Last Nomads" or "The Group of Nine", they had had no contact with western society until this point. Amazingly, Warlimpirrnga transitioned from an utterly traditional lifestyle to commencing as an artist with Papunya Tula within three years. By 1988, he had his first exhibition in Melbourne. Warlimpirrnga paints in two main styles, using geometric shapes to represent the Tingari story or lines interspersed with dotting for his dreaming concerning the sacred site of Lake Mackay of which he is the custodian. 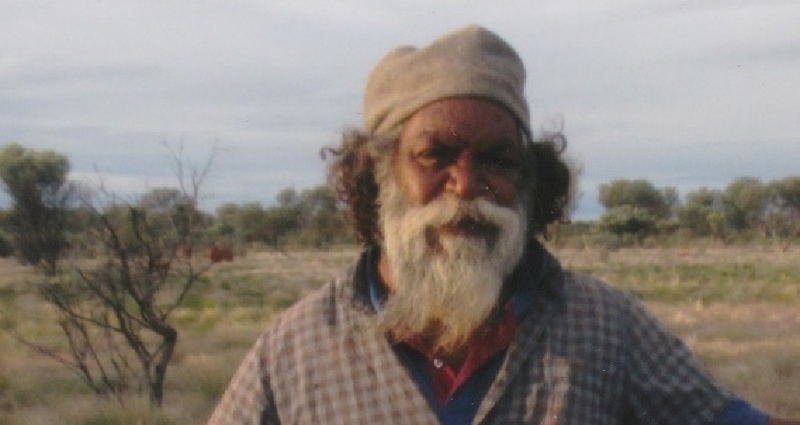 Warlimpirrnga employs a dotting technique shared with other Pintupi artists such as his brothers, Thomas and Walala, and with George Ward Tjungurrayi. Tingari are the legendary beings of the Pintupi people that travelled the desert performing rituals, teaching law, creating landforms and shaping what would become ceremonial sites. As far as we can know, the meanings behind Tingari paintings are multi-layered, however, those meanings are not available to the uninitiated. Despite his late start to painting, Warlimpirrnga is regarded as a very serious artist. Today, Warlimpirrnga Tjapaltjarri spends his time between Alice Springs, NT and Kiwirrkurra, WA in his home lands. 2003 Papunya Tula Masters, The Depot Gallery, Sydney. 2001 The White Show 2, William Mora Galleries, Melbourne, VIC.